Indianapolis, Indiana – Sextons Creek is pleased to announce that Art Estopinan has been named Vice President of International Affairs of the consulting and strategic communications firm with offices located in Washington, D.C. and Indianapolis, Indiana. Estopinan is a seasoned veteran in international relations policy having worked in the United States Congress for 27 years, including more than twenty years as Chief of Staff for Congresswoman Ileana Ros-Lehtinen, former Chairman of the House Foreign Affairs Committee. 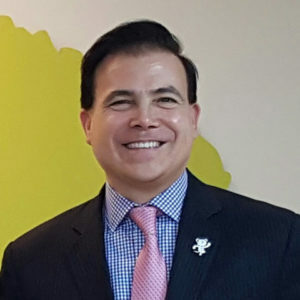 In this capacity Estopinan developed a strong network of contacts on both sides of the aisle and proved his ability to advance important issues through the legislative process. Estopinan resigned from his position with Congresswoman Ros-Lehtinen in June 2016 in order to form The Estopinan Group, a government relations, business development, and political consulting firm.